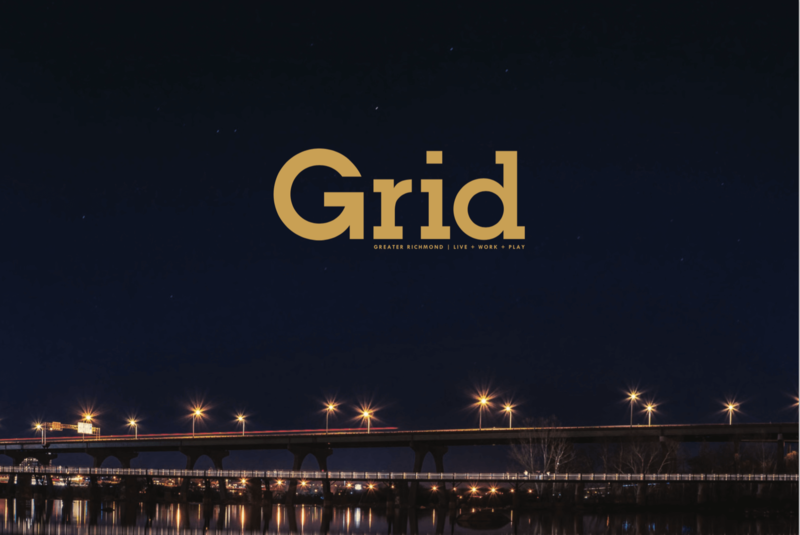 Richmond GRID is a glossy, quarterly magazine; website; and social media platform designed to celebrate how we live, work, and play throughout the region. Grid uses a solutions-oriented approach to journalism that showcases the region. We are purpose-driven and feature people and ideas that push Greater Richmond forward. Grid’s readership is split into approximately thirds in age brackets of 25-34-year-olds, 35-44-year-olds, and 45-54-year olds. Grid’s readership is almost evenly divided between males and females—with women readers in the 35-44-year-old demographic comprising a slight majority by an 8% margin beyond the male readership. 80% of readers will talk to someone about something they have seen in Grid magazine or online. On average 75% of Grid’s readers will consider buying something as a result of seeing it in a magazine.